The month of April is set aside for people to recognize and appreciate the varied cultures and beliefs around the world. Instead of finding division and differences, we should celebrate the beauty and wonder of our multifaceted planet. This month offers a great opportunity to discover ways to incorporate acceptance and inclusiveness throughout your life. “Once upon a time, perhaps last week, or even last night, at your local dim sum restaurant…there was an ugly dumpling.” Sure, you might think all dumplings are ugly, but we’re talking about one particular ugly dumpling. It tried all sorts of tricks to make itself more attractive, but it still remained lonely and uneaten. It sat dejected until a cockroach traversing the kitchen caught sight of it and immediately fell in love. Image copyright Shahar Kober, text copyright Stephani Campisi. Courtesy of Mighty Media Press. The cockroach “reached out an arm. (Or a leg)” toward the dumpling and offered to show it the beauty of the world. Together they traveled to cities near and far, experiencing them through culinary lenses—stacked-plate skyscrapers, piled-dishes skylines, and chopstick bridges that took them over flour mountains and folded-napkin peaks. Then, in a certain restaurant, the dumpling saw something astonishing! Not only one, but two, three, four, and more dumplings just like itself! Suddenly the ugly dumpling realized that it was not a dumpling at all, but a “steamed bun—a golden-hearted, smooth-skinned steamed bun, exactly like all the other steamed buns in the world.” The ugly dumpling puffed with meaning, importance, and…yeast! The restaurant patrons and staff and even the other steamed buns took notice. The cockroach by the ugly dumpling’s side cheered to see its friend receiving so much attention. Stephani Campisi’s The Ugly Dumpling is a fresh and delectable dish-up of the classic Ugly Duckling story for a new audience. Stuffed with charm and off-beat humor, this tale of friendship and diversity embraces all who feel at odds with their environment—with or without the recognition of why. Its sweet and insightful ending emphasizes the idea that finding your niche does not always mean fitting in with a certain crowd, and that having the courage to strike out on your own path leads to beautiful relationships and personal happiness. Shahar Kober’s dumpling is anything but “ugly.” His adorable puffed dough, lonely and ignored for not adhering to the mold, will melt readers’ hearts as he tries anything and everything—including green pleated pants—to fit in. Kobar’s stylish drawings are the perfect underscore to Stephani Campisi’s quick, dry wit—as in his rendition of three uglier-than-the-next dumplings—and if cockroaches were really as cute as Kober’s, we’d all set out a different kind of Roach Motel. A clever bit of typography transforms steam coming from a wok into the word HISS, and the restaurant scenes will make readers hungry for their favorite Asian eatery. As readers turn to the last pages and watch the steamed bun and the cockroach leave the restaurant hand in hand (foot in foot?) under the shade of a paper umbrella, they will want to turn back to the beginning and start over again. The Ugly Dumpling is a must read and a wonderful addition to children’s bookshelves. Get to know more about Stephanie Campisi and her work on her website! To view a gallery of art by Shahar Kober for books, magazines, animation, and more, visit his website! Check out the Mighty Media Press website for more about The Ugly Dumpling and a-dough-able coloring pages! Take a look at the trailer for The Ugly Dumpling! We are all beautiful “dumplings” in one way or another! With this easy craft you can create a huggable friend and show others what you’re made of! Today we honor those chefs who create delectable dinners for individual clients or for special occasions. With dedication and hard work, tasty ingredients and imagination, these artists make life better for foodies from coast to coast. These kids are making a special treat! Enjoy this printable Cook Up Something Tasty Coloring Page while you have a little treat too! 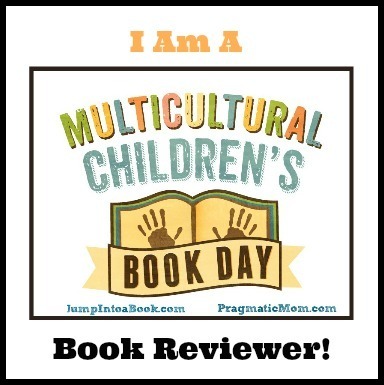 Today I’m celebrating Children’s Authors and Illustrators Week with a humorous book by a debut author whose story embodies the universal themes of Multicultural Children’s Book Day. Her story is a bright reminder that life is better when we embrace the wonderful diversity all around us. But one day Starri told her mom and dad that she wanted to wear a pink dress. Their astonished faces said it all. And Starri didn’t want just one pink dress, she wanted a pink tutu, “pink nail polish, pink shoes, pink ice cream, pink cake, pink leggings, and pink sunglasses. A pink room with pink walls, and a pink dresser with a pink lamp on a pink night table.” Yep, she wanted everything pink. And so it happened. “‘But honey,’” her mom and dad said, “‘variety is the spice of life,’” and they showed her how all the beautiful colors of the rainbow could “live together with pink.” Starri loved this idea, and so now when you see her, she’s still wearing pink, but she’s welcomed other colors into her life as well! If you have ever been a little girl, had a little girl, or even just known a little girl, Adelina Winfield’s Anything But Pink will resonate and make you smile. Despite parent’s preferences, protestations, and prohibitions, pink creeps then gallops into girls’ lives in a million different ways. Winfield’s repetition of a rainbow of colors and the fervently hopeful “Nope, no pink at all. Not one thing” makes her story all the funnier as adults surely know what’s coming and young readers will cheer when Pink finally makes its appearance. I laughed out loud when I turned to the pages after Starri embraces pink as it took me back to when my own daughter, who having earlier rejected pink for green, suddenly wanted a pink room, pink lamp, pink clothes, and even wall stickers exactly like the colorful circles that dot Winfield’s endpapers. There is a joyous quality to Winfield’s stylish illustrations as Starri’s parents prepare for their baby amid vibrant images that express the dreams they share for their child. When adorable, curly-haired Starri comes along, she happily wears what her parents give her until the moment when she asserts her independence and with personality and flair enters the monochromatic world of pink. The story is infused with a sweet tone shown in the loving relationship between Starri’s parents as they stand close together, walk with their arms around each other, and even have priceless matching expressions the first time the dreaded P word is uttered. Their relationship with Starri is likewise affectionate. When their daughter does discover pink, they support her, only later guiding her to consider a more global perspective. Anything But Pink is a cute story for all lovers of the color pink and would make an appreciated baby shower or birthday gift and a much-asked-for story time or bedtime read. Adelina is an all around artist and an eternally creative spirit. She spent several years as a Fashion Designer in New York’s garment district, designing children’s clothing for labels such as Guess Jeans, JayZ’s Rocawear brand, and Tina Knowles’ Dereon line. This design experience allowed her to globe trot, where she spotted the latest trends throughout Europe and Asia. Her eclectic upbringing in Brooklyn, NY, worldwide travel, and many years in the fashion business has served as a canvas for her current creative expression: writing. Now living in another creative city, Austin, Texas, Adelina has married her artistic and writing talents in her first children’s book, Anything But Pink.